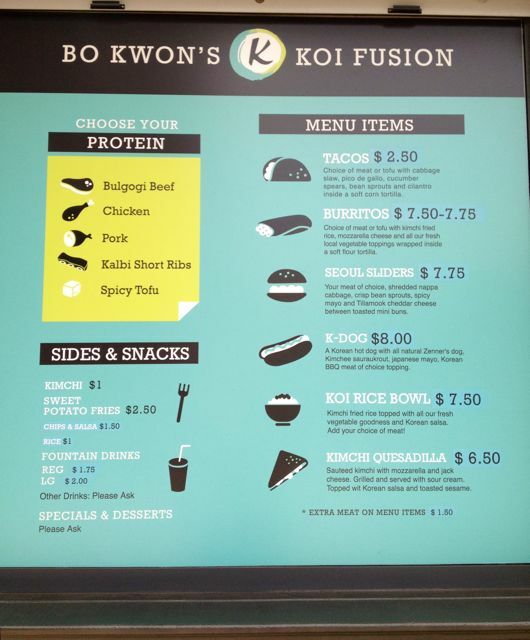 Koi Fusion is a food cart of sorts. It sits at Bridgeport in Tigard in one of the kiosks and serves the crowd that is wanting something fast and fresh as opposed to the many other sit down restaurants. It’s Mexican food, no wait, it’s Korean, no wait……. 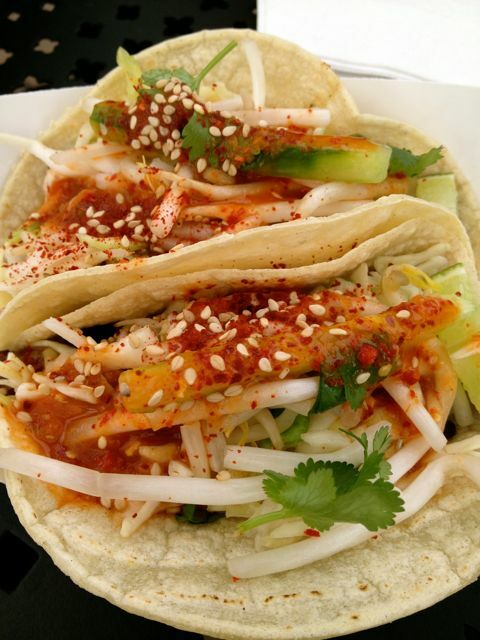 It’s Korean food served in burritos and tacos. I have actually been to Koi Fusion a few times. The first time I got the tacos. They are a nice size and 2 tacos was enough for me. I also like that when you order tacos you can try more than one meat. My two favorites are the Bulgogi Beef and the Pork. 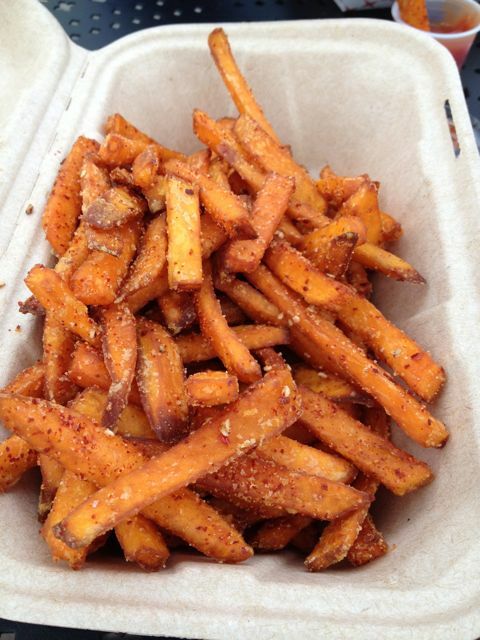 They also have Sweet Potato fries. I am a sucker for Sweet Potato fries. Not only that, but I really like to say Sweeeeet Potatoooo Friesss. Anyways, they were good. They seemed a little out of place, but they were good nonetheless. Koi Fusion is a place worth seeking out if you are in the area. If you aren’t from the area then know parking is tricky here, so plan accordingly. Meaning, use the parking garage, it’s not that far away. Atmosphere is a a kiosk with outside seating. In the winter they have covered seating with heaters. 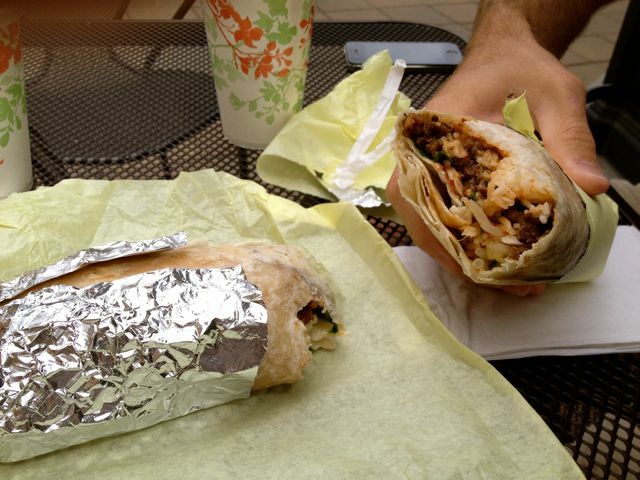 Pricing was good for tacos, and for the burritos. Service was good. They always seem helpful in there if you are trying to decide which meat to get. They are located at Bridgeport in Tigard. Check their website for additional locations as they have multiple carts. Yes, we are huge fans. One place the whole family will eat at and the Bridgeport location is close to us.